I am Professor and Vice Head at the department for Computer and Systems Sciences (DSV) at Stockholm University. Here you will find information about my research and teaching as well as some blog postings. 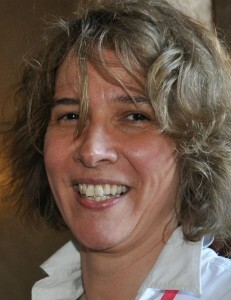 Jelena received her BSc and MSc in Electrical and Computer Engineering Sciences from the University of Belgrade in 1992 and 1996, respectively. At that time she worked for the IT consulting company Informatika as a designer and team leader for systems development. In 2004, she received an MBA in E-commerce. Jelena received her PhD in Computer and System Sciences from the Royal University of Technology (KTH) in 2006 under the supervision of Prof. Paul Johannesson, and in the same year, she became an assistant professor at KTH, and later moved to Stockholm University. She currently works in the area of analysis of information systems. In the Information System analysis discipline, Jelena has published work on Business-IT Alignment, Enterprise Modeling, and Requirements Engineering. She has participated in several national and international projects on the interoperability of information systems, service engineering. Jelena has been supervising the following PhD students: Sachiko Lim, Eric-Oluf Svee and Constantinos Giannoulis as the main supervisor; Tharaka Ilayperuma, Ananda Edirisuriya, Khurram Shahzad and Iyad Zikra, as the co-supervisor.